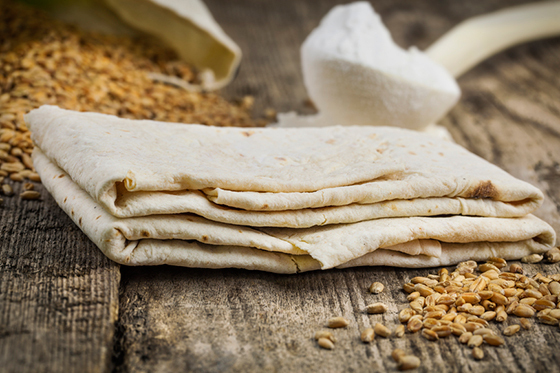 Although this flatbread has become a favorite of eaters in the world’s health-conscious capitals, its ancient, modest origins rest in the Armenian Highland. It’s made by spreading the dough on a tough pillow and slapping it onto the side of a below-ground, coal-fired oven called a "tonir." The final product is a light, airy, chewy and (most importantly) tasty bread. It won’t win any competitions for presentation, but harissa is a flavorful traditional Armenian dish made from pulled chicken meat and cracked wheat. The dish is typically eaten in the winter and is flavored with butter, cumin and sometimes Aleppo pepper. 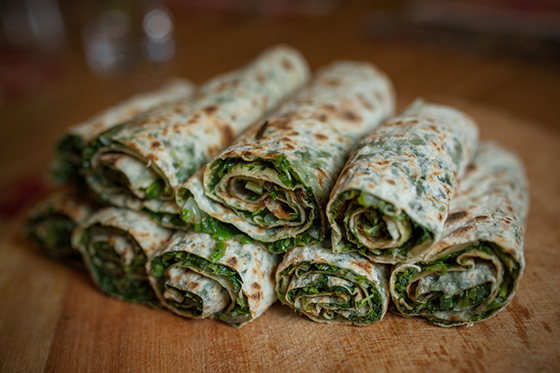 One of the most unique Armenian dishes comes from the region of Artsakh. It’s made with at least a dozen herbs and grasses (and sometimes contains over 20) which are placed flatly on dough, covered with more dough, then cooked on a griddle or pan. It has no hard and fast recipe but the juices of the fresh greens mixed with the warm bread make for good and healthy eatin’. Everyone in America knows sticks of string cheese – staples of school lunch boxes. 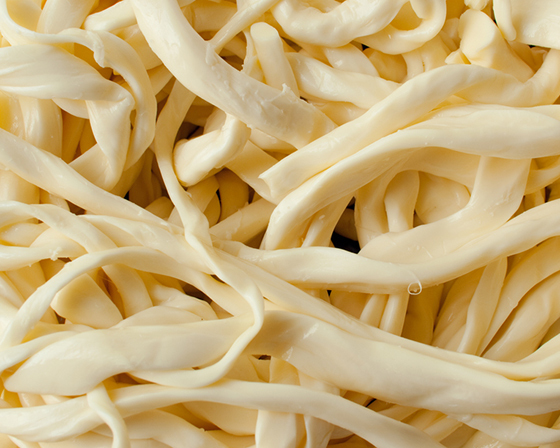 The Armenian version looks nothing like these and is actually twisted into a knot that needs to be undone to get to the scrumptious goodness. 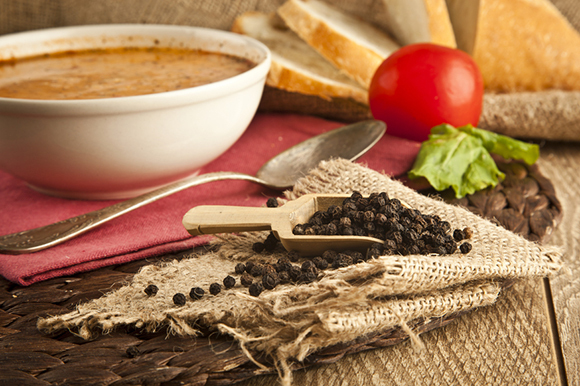 Another unusual element of this food: black caraway seeds. One might think the only use for pumpkins outside Halloween is pie – not the case! 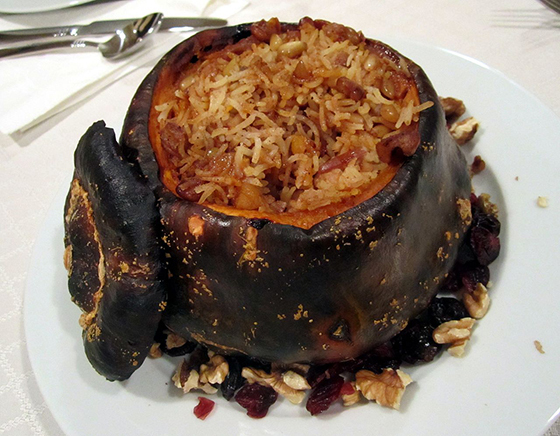 The traditional Armenian dish of ghapama (so popular there is at least one song about it) is made by stuffing the inside of a pumpkin with rice, fruits and seasoning. The result is a potpourri of flavors for the holidays. 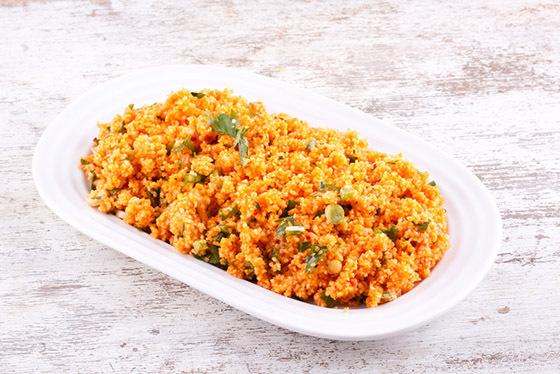 Popular in Western Armenian cuisine, itch is made with bulgur, tomato paste, green onions, and olive oil. It can be eaten in a bowl or wrapped in lettuce. 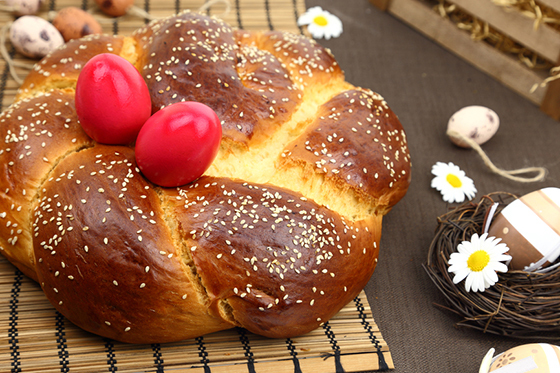 Like colored eggs, choreg is ubiquitous in Armenian homes during the Easter holiday. It’s a soft and chewy sweet bread sometimes made with black caraway seeds and basted with egg. The fluffy goodness is a delectable dessert after a big Easter meal. This dish is a staple during the holidays, especially Armenian Christmas. Madznapour is made with madzun (yogurt) and cracked wheat (bulgur) balls filled with either meat or butter. Its tangy and savory flavors are a warm and delightful addition to a wintertime table. This traditional, round sweet bread is everywhere during the holidays, but can also be found year-round. 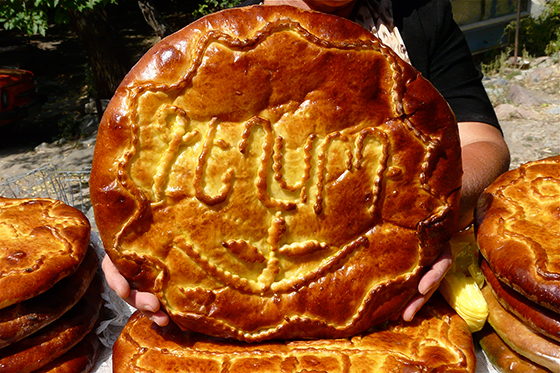 In some places, like in Garni and Geghard, the face of the sweet bread is decorated with text or images baked onto it. Sometimes a coin is hidden in it during baking and the person who finds it is supposed to have good fortune. Derived from the word khashel, which means “to boil” in Armenian, this dish and the tradition surrounding it are so unique it’s rarely eaten with anything else. 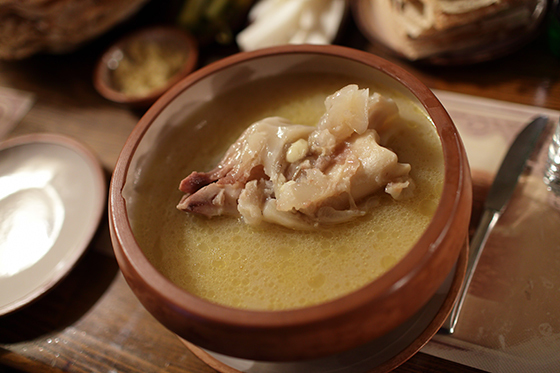 Made from boiled cow feet and sometimes tripe, it is poured into bowls, which each person then garnishes with varying loads of garlic, lemon and salt. The final addition is crumbled lavash. The meal is usually only eaten during the winter and early in the mornings. It is accompanied by the drinking of vodka or homemade eau-de-vie, often of apricot or mulberry, and toasts are made according to an order: a “good morning” toast, a toast for the hosts and a toast for the guests. Here’s a collection of the most exquisite and mouthwatering culinary goodness that’s a must for anyone looking for a true taste of Armenia.